Better health…what is that all about? Well, the list of ways to have better health is a long way and there is no way that all of the ways to improve your health can be listed at once. The list would go on and on. So, today, let’s just focus on one crucial element for you to have better health. Lemon water. It may sound simple enough and it truly is. Just by drinking lemon water each day you can boost your metabolism, increase your focus, lose weight, have more energy, prevent infections and do much more. If you want to start improving your health with one simple tip, this is the one you should be following. 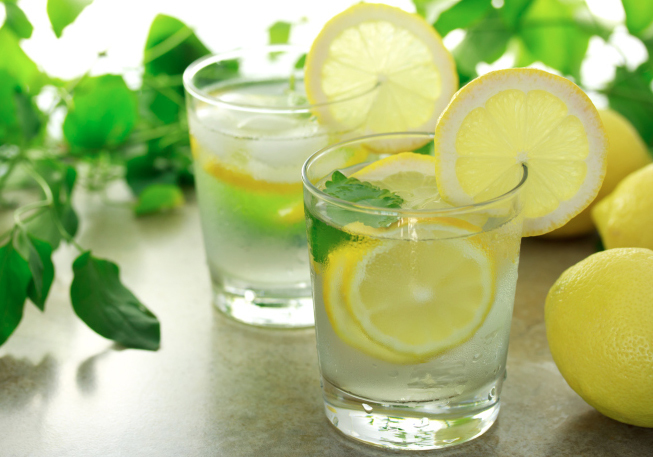 Find out more about the many fantastic benefits of drinking lemon water right here. One of the first and most important reasons why you should drink lemon water is so you can improve your digestive health. There are many men who suffer from bloating, diarrhea, constipation, stomach cramping, pains in the abdomen and other digestive issues. If you are one of these guys, quit suffering and make a change. Just by drinking two glasses of lemon water each day (one when you get right up from bed in the morning and one right before you go to bed at night), you will notice improved digestion in just the matter of days. You will also find that drinking lemon water daily will help to support your immune system as well. Do you get colds quite often? Do you find that you are constantly getting sinus infections? If you have a difficult time preventing these health issues, you need to boost your immune system and lemon water is the perfect way for you to do that. Whether you need to prevent an illness, fight an infection of some sort or you are just sick and tired of being sick and tired, drinking lemon water is what you need to do to fix all of that. Another way to achieve better health is to hydrate your body. When your body becomes dehydrated, you lose energy, focus, motivation and more. You start having more cramps, aches and pains in your body and inflammation in your body gets worse as well. 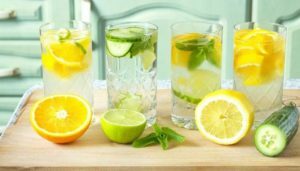 It is very simple to keep your body hydrated and you can start doing that by drinking one to three glasses of lemon water each day. When you get up each day, hydrating your body allows you to set your goals in motion. When you get to the middle of your day, you may hit that afternoon crash but if you keep your body hydrated by drinking lemon water that won’t happen. When you get ready for bed each night, lemon water will help to ease your body and promote better sleep. Hydrating your body does all that for you. To achieve better health, you also may look at how much energy you have and how well you are able to focus. If things are off in your body, this could cause distractions for you and it could really tear down your energy as well. All you need to do to fix these issues is to drink a glass of lemon water. Lemon water is beneficial for raising up your energy so you can boost productivity and achieve your health goals as well. Lemon water is also improve brain functioning so you can focus more on each task you do. To improve your health, you should do many things and drinking lemon water daily is one of those things. 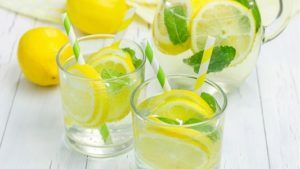 The best times for you to drink lemon water is right in the morning when you get out of bed, in the afternoon around lunch time and right when you are getting in bed for the night as well. It may not seem like much drinking a glass of lemon water and it isn’t. Doing so is simple but it is also an excellent way for you to have better health. Start drinking lemon water a few times a day to see how well it works on improving your health.